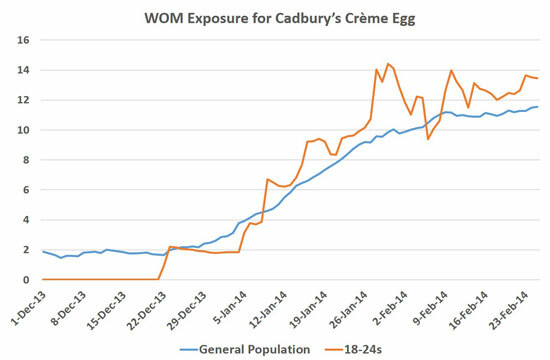 In 2012, Cadbury Creme Egg was struggling to get its voice heard in a crowded confectionary market and sales were down. Since then, the brand seems to have gone from strength to strength, seeing its sales rise last year –now recent BrandIndex data shows that this year’s advertising campaign is on course to continue the good news for the brand. 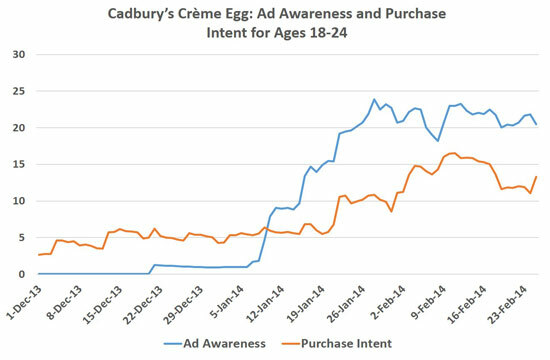 The recent campaign encourages people to ‘Have a fling with a Creme Egg’, through TV adverts as well as social media. The TV ad shows someone preparing for a night out and flirting with a Creme Egg. The social media campaign creates egg versions of popular social networking and dating sites, such as ‘Eggstagram’ and ‘Tindegg’, and continues last year’s popular #CremeEggBake, encouraging people to suggest new ways to bake with Creme Eggs. 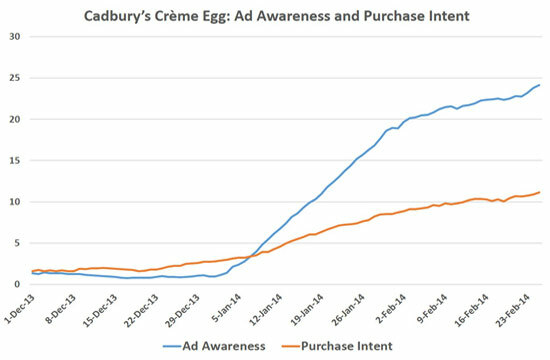 BrandIndex shows that, since the ‘Have a fling with a Creme Egg’ campaign launch on 1 January, general Advertising Awareness has increased by 23% and Purchase Intent has increased by 8%. The campaign also seems to be having the desired impact on the most important demographic for the brand - the 18-24 age group, whose engagement with the brand had been in decline. Advertising Awareness for this group has been up to 7% higher than it is among the general population (when it peaked on 28 Jan) and Purchase Intent has continually been around 2% higher than the general population since the campaign launched. This age group’s higher level of Word of Mouth (WOM) Exposure (which measures the % of people who have talked about a brand with friends or family in the last two weeks, either in person or online) also seems to suggest advertising and social media content are reaching the right demographics, perhaps reaffirming the brand’s choice to invest so much in their Facebook campaigns last year. With the campaign running until 20th April, these are encouraging signs for the brand.